There's a reason Chattanooga, Tennessee is gaining notoriety as a great place to visit and live — especially among young, tech-savvy and outdoorsy types. Only a few minutes from the Georgia border, 'Noog is a few hours' drive to several larger cities, including Nashville, Knoxville and Atlanta. With a population of about 170,000, it has a growing start-up scene, bolstered by what is reportedly the fastest internet access in the Western Hemisphere. 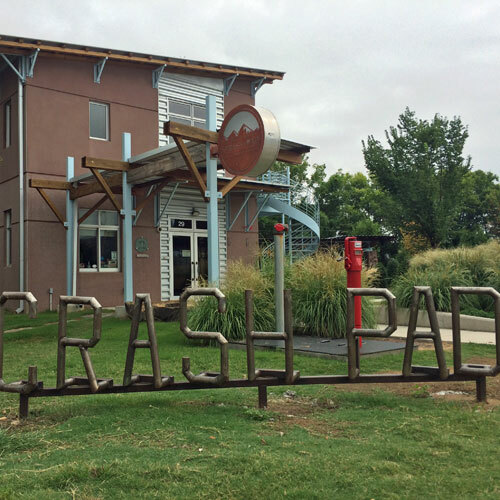 The downtown is bustling with activity, including museums, restaurants and an amazingly huge rock gym, and several areas enjoy a eco-friendly, organic hipstery vibe. Outfitted with bike rental stations throughout the heart of the city, it's quick and easy to get around on any budget. 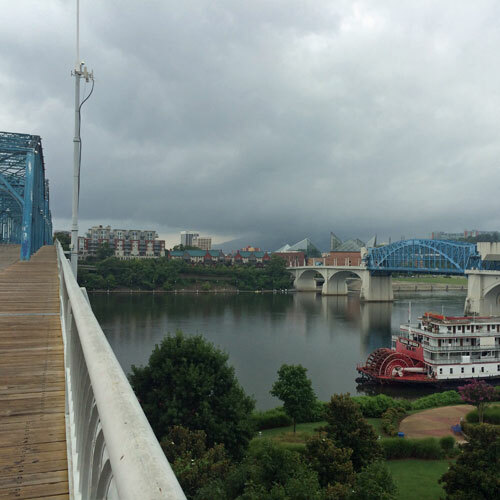 Especially exciting is Chattanooga's location in terms of scenery; it's nestled between Lookout and Signal Mountains and bisected by the meandering Tennessee River. Surrounded by trailheads, caves, rivers, and government-protected lands, Chattanooga truly is a mecca for those who love outdoor adventure. 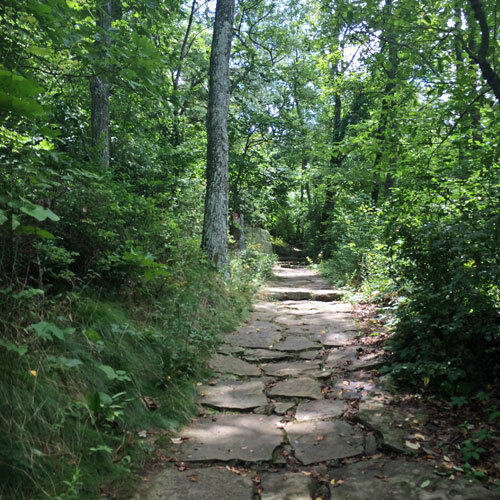 Hiking trails like Sunset Rock, pictured here, are plentiful around Chattanooga. There are plenty of tourist traps for visitors, but even if you're not a lover of kitsch, the views from the surrounding mountains are beautiful. The infamous Rock City is a modified natural garden that's more suited to kids than adults but still provides some nice sights. Closer to the city, Ruby Falls is a 145-foot underground waterfall; although the cave is highly commercialized, it's a nice introduction to geologic formations. There's a rather dubious claim that you can see seven states from Lover's Leap in Rock City. True or not, the view is great. The area is of interest to history buffs, too. Lookout Mountain also played an important role in the Civil War. Chattanooga was considered the "Gateway to the South," and it was the site of several battles. From the vista at Sunset Rock, pictured below, Confederate Generals Bragg and Longstreet watched Union forces arrive in the valley below. That evening, they engaged them in the Battle of Wauhatchie and were defeated in this, one of the few night engagements in the War. Sunset Rock on Lookout Mountain is one of many sites in the area of importance during the Civil War. For those who like their hiking vertical, there's a plethora of rock climbing sites for climbers of any skill level. 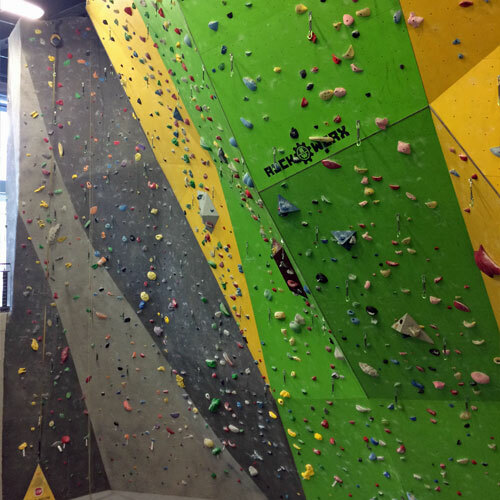 Learn and gain skills at one of several gyms and then put them to use on the crags nearby. Many of the caves offer spelunking or caving tours for those who enjoy underground adventures. If water sports are your thing, hop in a kayak, tube or raft and explore one of the nearby rivers. The Tennessee cuts through the middle of town, and the Hiwassee and Ocoee are nearby. Be sure to check the dam schedule so you know when it's safe to get in the water. After a short visit to the city, I feel like I only just barely scratched the surface of outdoor activities Chattanooga has to offer. I can't wait to return! What adventures have you had in or around Chattanooga?